Fast forward to university, when the thought of actually making homemade yogurt for eating purposes first enters my mind. This was during my first microbiology lab, while we were culturing all sorts of microbes. It is pretty easy work, as long as the microbes have food and a nice warm temperature, so why not do it at home with milk as a medium? Let’s just say the smell of a microbiology lab was enough to turn me off of the idea. 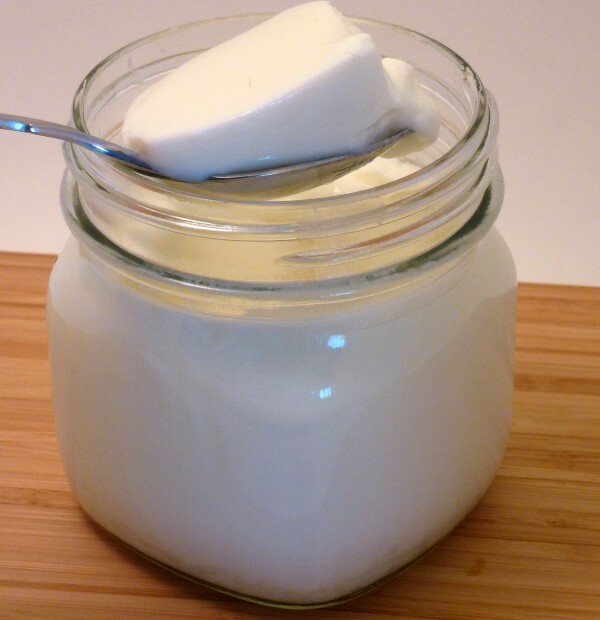 But, after a few years, I realized that homemade yogurt probably wouldn’t smell like agar, yeast, and other foul smelling microbiology smells, but would probably smell like, umm… yogurt so I gave it a shot. Result? An incredibly easy process and a surprisingly thick, delicious yogurt. Yay! A successful microbiology project without the gross microbiology yuckiness. The best reason to make yogurt at home is that you have control over what ingredients you are using. These days, many yogurts contain lots of sugar, artificial flavours, artificial sweeteners, and various thickening agents such as starches, pectin, and gelatin. However, at home, you can make delicious and healthy yogurt with as little as two ingredients. You can also get really creative with whatever flavours you want. With this batch of yogurt , I ate some completely plain with just a bit of sugar, some flavoured with pureed pineapple and coconut, and some with a hint of brown sugar and seeds from a vanilla pod. These were low-fat but absolutely delicious desserts. FYI, the pineapple-coconut one tastes just like a pina colada… just saying. –In the oven. This only works if you have an oven that can stay at a really low heat. Some ovens have a setting that can be used for letting bread dough rise (approx. 40 C.) My current oven doesn’t go that low so I’ve had to resort to other means. –In the slow cooker. This has worked for me in the past, although some slow cookers are just too hot. I’ve had situations where the heat caused the yogurt to go brown and chunky. Not good. –Using a heating pad. I fashioned my own yogurt-maker this way. I used a container with a lid and stuck a heating pad on the bottom of it. I’m pretty sure this goes against the safety warning from the heating pad company but I haven’t burnt down the house yet so I’m still using it. -I’ve even heard of people using a thermos or insulated container, but I’ve yet to try this method. I’ve had best results with using low-fat or full fat cow’s milk and soy milk. I’m not a fan of goat’s milk so I’ve never tried it. I prefer eating fat-free yogurt, which, unfortunately, is more difficult to make with a nice texture (although, still possible!) 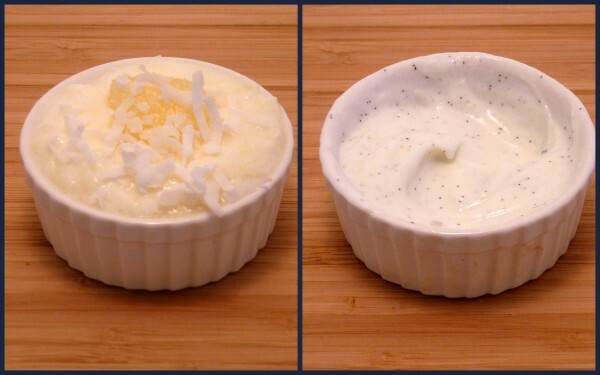 See tricks below for making fat-free yogurt. Allow the milk to cool to 40 degrees C. You can speed up this process by placing the bowl in an ice water bath and stirring the milk. Once it has reached 40 degrees (or a lukewarm temperature, if you don’t have a thermometer), GENTLY whisk in the bacterial culture (starter yogurt.) You don’t want to whisk too much and make the milk frothy, so just gently stir until the starter is combined. If you start making yogurt regularly, you can always use a bit of the previous batch of yogurt for each new batch. Pour the milk into some sterilized glass jars and place, without lids, in yogurt maker, oven, slow cooker, whatever to incubate at 40 degrees C for approximately 8 hours (give or take.) How long you let the yogurt incubate is up to you. The longer you wait, the more tangy the yogurt taste. A short incubation time could result in a runny yogurt with a mild taste. It is all personal preference so just see what works for you. Be sure to not disturb the yogurt during the incubation period. That is, do not attempt to stir the yogurt, or place a thermometer in the yogurt to check on the temperature. If you do this, it won’t set properly. After the incubation period, place lids on the jars and allow to cool in the fridge. Once the yogurt has cooled for at least a few hours, you can then go ahead and stir it up, add flavourings, and eat it. If you like thick, creamy yogurt, you can strain the yogurt to make it greek style. To make it Greek, line a strainer with coffee filter, paper towel, or cheesecloth and strain the yogurt to desired consistency (the longer you wait, the thicker it will get.) Be sure to place a bowl under the strainer and store in fridge during straining process. If you don’t want to strain the yogurt, you can add all sorts of flavourings/sweeteners to it once it has cooled. Jam, fruit, honey, sugar, vanilla, you name it. It may seem like the yogurt-making process is really time consuming, but if you plan it right, it hardly takes any hands-on time. I like to heat the milk at night and set the yogurt to incubate right before I go to bed. Then, in the morning, I transfer to the fridge to cool and once you get home from work your yogurt is ready! A problem I’ve had in the past when making fat-free yogurt is that it can be very runny, lumpy, or grainy. Some people whisk in dry skim milk powder to the milk while heating it, to thicken it up. I tried this method, but was not overly pleased with the results. For thick yogurt, it is essential to scald the milk. This denatures the milk proteins, which alters the protein’s molecular structure, thereby making it coagulate. Be very very careful that you are only scalding the milk. Do NOT go over 85 C or the yogurt will most likely have a grainy texture. Another thing that can result in a grainy texture is stirring the yogurt before it has set. Let the yogurt set in the fridge overnight before attempting to stir. By holding the temperature of the skim milk at 80-85 C for a while, you will get a thicker yogurt. Not only is the extent of protein denaturation greater, but you are also eliminating some of the water in the milk through evaporation. Thicker milk = thicker yogurt. In the thick fat-free batch I made, I maintained the scalding temperature for 30 minutes. I left the milk in the double boiler over simmering (not intense boiling) water and stirred occasionally. This seemed to do the trick! You can also strain some of the whey out to thicken up fat-free yogurt. 1) You didn’t let the milk cool enough before adding the bacteria and you killed them! 2) You used a yogurt as a starter culture that didn’t have live cultures. Try using a different starter. 3) You didn’t keep the bacteria warm enough during incubation. 4) Your bacteria were old and tired (i.e. your culture was not fresh.) Buy fresh yogurt and try again. Please leave a comment, if you have any troubleshooting or yogurt tips/stories of your own!